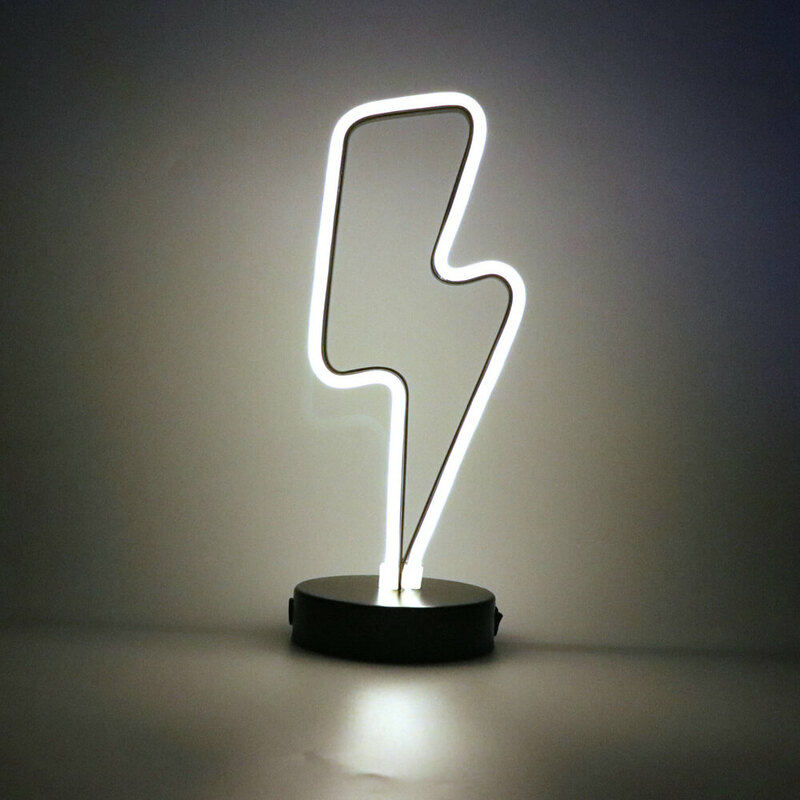 Lightning Bolt Neon Light | An eye-catching addition to your room! An eye-catching addition to your room! This striking Lightning Bolt Neon Lamp is a surefire way to electrify your space! It's an invigorating way to shine a light in your bedroom, living room, bar or cool kids play area! Your stylised lightning bolt sits atop a black plastic base and is a brilliant way to super-charge your surroundings with a bright white glow. So create the atmosphere of an electrical storm - it's sure to rock your socks off! Made of LED lights with a Neon Effect on a black base. Warm White coloured LED light. LED lights are non-replaceable.